If you haven’t noticed on our site we have launched our contest for the HP Magic Giveaway Contest, but there are two other websites who have also started their contests today so you can further increase your chances in winning! In case you missed the original announcement about this giveaway, each of 50 sites are giving away a $6000 hardware package that includes 4 HP computers and a bunch of other great peripherals. 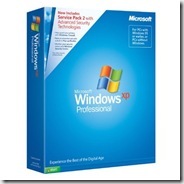 The package also includes a number of software offerings from Microsoft and their Windows Live team. 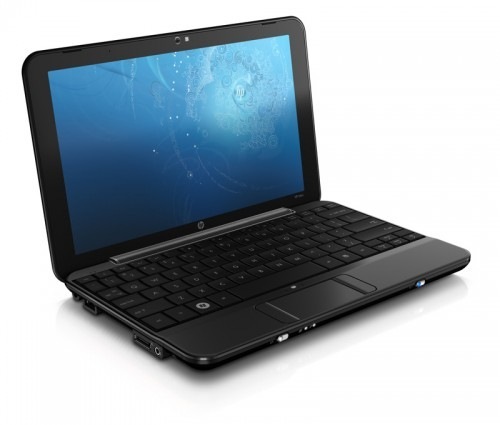 You can see complete details of the hardware and software included on the official HP Magic Giveaway site. 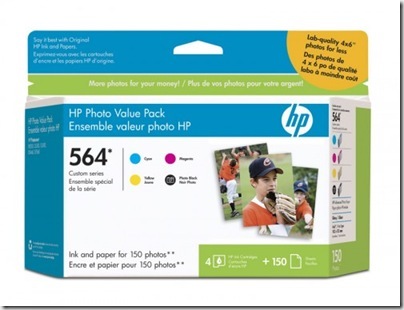 One common thread among the HP Magic Giveaway contests is the idea that this huge prize deserves to be shared. Most of us don’t really need 4 computers at home, but we all know a person or an organization who could really use some help. For my giveaway, I’m asking you to tell me about who you would share some of this great hardware and software with and why. The winner will be selected randomly because it’s too difficult to judge the merit of one person’s reasons for sharing against another. As long as it’s feasible, I’ll be delivering the hardware to the selected winner in person. As a bonus, I’m donating an hour of my time to either help you set up this new gear or solving some existing computer frustration. 1) You must be subscribed to Jake Ludington’s Digital Lifestyle newsletter on 6 December 2008 when the winner is announced. If you’re not already subscribed, you can subscribe here. 2) You must post a comment to the official contest announcement (this page) about who (person or organization) you would share the prize with and why. Include city, state, and country in the body of your comment. Your real name and the same email address you subscribe to the newsletter with must be used in the comment entry form so that you can be contacted if you are selected. Additional entry #1: Follow me on Twitter, link to the contest page in a tweet by using this link: http://bit.ly/JLHPMagic and #JLHPMagic somewhere in your tweet. Send me an email from your subscribed email address notifying me of your Twitter username. Additional entry #2: The second way to get an additional entry is to link to this contest page from your blog, Myspace, Facebook, site, or other online presence using the code below. Send me an email from your subscribed email address notifying me of the location of your link. The winner will be selected at random from those people who meet the entry requirements. The winner will be announced on 6 December 2008. If the winner is from the United States, I will deliver the prize to your door and provide an hour of free computer help barring any unforeseen circumstances. If the winner lives outside the United States, the prize will be shipped to your doorstep minus me and the computer help. I’m footing the bill for the travel (not HP or Microsoft), and while I’d love to roundtrip to somewhere more exotic than 100 miles outside Albuquerque, it’s just not feasible this month. Go forth and share the magic. For more information on Jake’s contest head here. 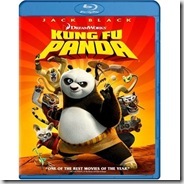 8th Place - Kung Fu Panda DVD and a Neowin Mug! 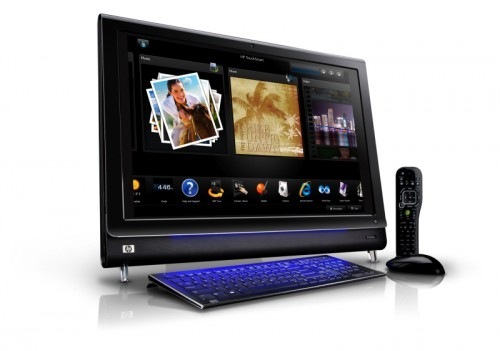 You may have noticed that the HP TouchSmart is absent in our giveaway, we have a reason for this. We plan to donate this system to a children's hospice in the spirit of giving and sharing during this holiday giveaway. We have not chosen the exact charity yet but we are in discussions with several charities in the UK who provide care and comfort to children with terminal illnesses and incurable conditions. Our aim is to present the PC to the charity and document its use. 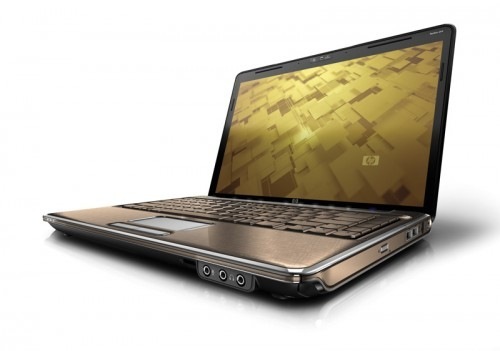 We will provide the system with a test version of Windows 7 for the charity to use temporarily and will interview the children and workers to see what the potential benefits of touch based computing, with Windows 7 and HP's TouchSmart system, could bring. Further details of the Charity and our coverage of this will be forthcoming. Please note if you are a Children's charity based in the UK or have a suggestion for a Charity please contact us. 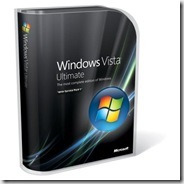 Entries will open on Sunday November 30th 2008 at 00:00 GMT and close on Saturday 6th December at 23:59 GMT. Any entries after the closing time and date will not be counted. Neowin staff and veterans are inelligible to enter - sorry guys! You can also check out the other 50 sites participating at HP's Magic Giveaway site. Good luck entering the contests for today here, Mediablab, and Neowin as well as the ones at Morningside Mom, Thoughts on poetics & tech, Bleeping Computer, Gear Live, and Windows Connected. The folks at Celio Corp (the maker of the REDFLY Smartphone Terminal, unveiled two new models: the REDFLY C7 and REDFLY C8N after hearing tons of feedback from early reviews and customers of the original REDFLY, the folks at Celio Corp took that feedback and produced these new models. The REDFLY C7 is a new, more affordable model with a power-saving seven-inch display, light-weight five-hour battery, and feather-light design under 1.5 lbs. 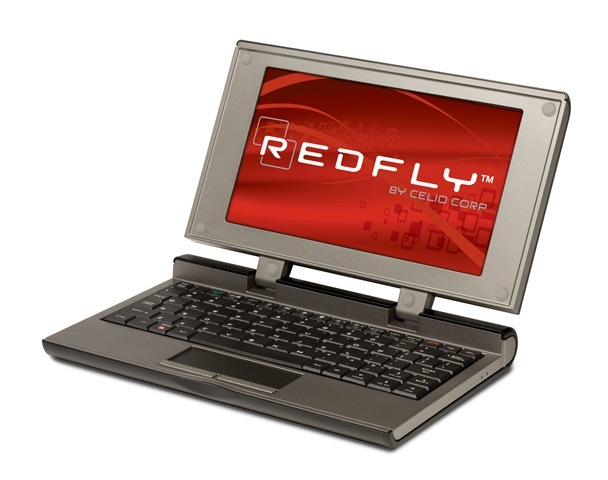 The REDFLY C8N is the next evolution of the original REDFLY design, enhanced to allow the use of the eight-inch screen by an iPod™, iPhone ™, Zune™, or digital camera. These new Celio products continue to support the smartphone, the most successful mobile computing platform available today, and enable the smartphone’s Internet-based and cloud-computing applications. As you can see in the pictures above it looks like they have the same size and footprint, but the C7 on the left sports a smaller 7 inch display. On the back you can see that the C8N (N for NTSC) – the one on the right has an additional port for video (located between the 2 USB ports and the VGA out) in via an accessory cable shown below. The cable looks to support composite video (RCA) only and looks to have an additional USB port receptacle for charging a portable device such as an iPod or Zune. Available the week of December 1, 2008, REDFLY C7 and C8N can be pre-ordered today from select Celio resellers listed at www.getredfly.com for a suggested retail price of $229 and $299 respectively. The REDFLY C7 is the result of a customer-driven plan for a power-efficient, lightweight and more affordable solution. With a power-saving seven-inch display and power-efficient features, the REDFLY C7 uses a lightweight battery that provides up to five-hours of performance, perfect for many mobile users. 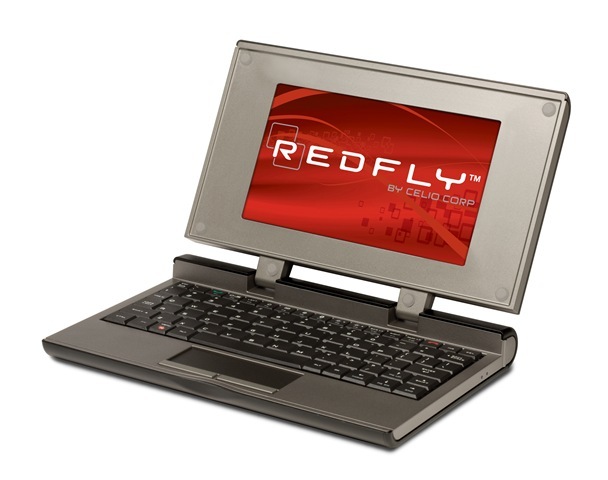 The REDFLY C7 weighs less than 1.5 lbs., lighter than any mobile computer with a seven-inch display. 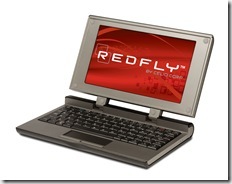 The REDFLY C8N evolved from the original REDFLY design to meet overwhelming customer demand to use the larger screen as an external display for media players such as an iPod, iPhone , Zune, or digital camera. A new REDFLY Media Port and REDFLY Media Cable provide a simultaneous connection as a third USB port and composite video input (NTSC/PAL compatible). 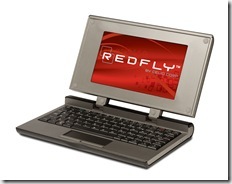 Now the REDFLY’s 800x480-pixel screen can be used to view photos, show demos and even watch movies. The REDFLY Media Cable is available for a suggested retail price of $19.95. Available the week of December 1, 2008, the REDFLY C7 and C8N Smartphone Terminals can be pre-ordered today from select Celio resellers listed at www.getredfly.com including: Amazon.com; Enterprise Mobile; Expansys; MyTreo.net; Treonauts.com and WMexperts.com. For more information about REDFLY, visit www.celiocorp.com. This is the time for giving for many and this year will be even harder for some people to give than they have in the past. Boston Pocket PC wants to help by giving you a really cool prize, the ability to give to those you find are need of some cool new technology from HP and Microsoft with some help from Buzz Corps. 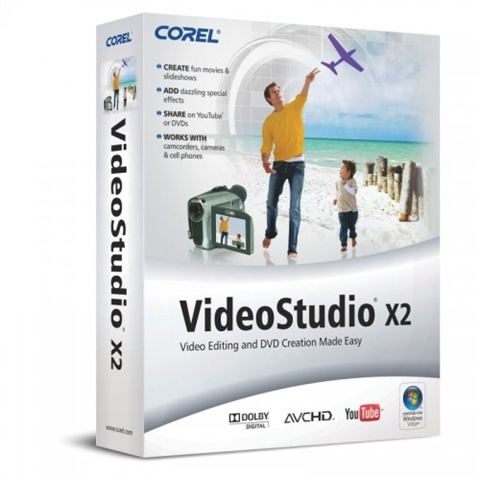 The total value of this prize package is over $6000 in prizes! 1. We all want new technology for the Holiday season and I am sure there are few people you know, that would like or are in desperate need for some new gear as well. All we ask is that you email a picture of your current desktop/setup and (if possible sneak a picture of the person/place/charity you want to hook up with gear) as well as write a minimum 100 word description of how it will be used, what it is replacing, how it will benefit the recipient, etc. 2. Email your story and picture(s) to magic@bostonpocketpc.com with the subject “HP Magic Giveaway”. 3. We will conduct a random drawing from all those who submitted a valid entry and post the winner as well as some of the more interesting entries received. 4. Follow the directions. We would hate for you not to be entered to win on a technicality. So read them carefully! 5. You will have only one entry per person so make it a good one! The contest starts 12:00AM Eastern Daylight Savings Time US on November 30th, 2008. All entries must be in by 11:59PM Eastern Daylight Savings Time US December 5th. All entries received after that will not be accepted. 6. No one associated with this site or families are eligible to win, (but are free to enter the other 49 contests) nor are winners of other HP Magic Giveaway Contest contests. 7. This contest is a world-wide contest and open to all that meet the above contest requirements. 8. The winner will then be notified by email and posted here on Boston Pocket PC with their name and winning entry on December 6th 2008. 9. The winner will then choose which item or items they wish to keep and which of the items they want to “gift” and we will wrap it up and send it out for you. There must be a minimum of two other recipients of the prize besides the winner, divided up how ever the winner sees fit and there can be more than two recipients. All shipments must be to valid shipping addresses, no PO Boxes. 11. 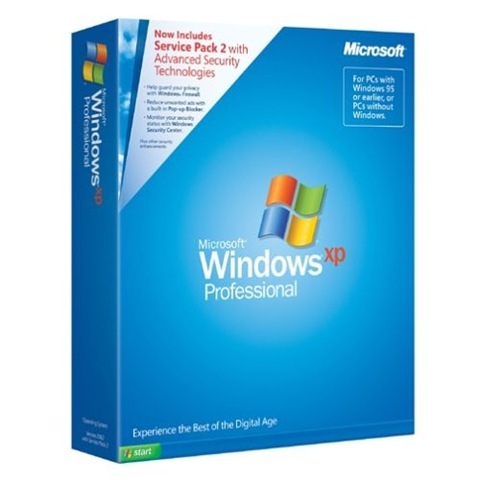 HP and Microsoft requested that each site also review the items for giveaway so some items may be opened from their original packaging and used for reviews on this site and returned to their original shipping condition. We still have not received our items for giveaway so we may not be able to review any of the items within the time span of the contest, but we will try to review a few - as many have already written in and requested. On the second day of the HP Magic Giveaway Contest, you now have another 2 chances to enter at three different sites. Each site will be conducting their own contest and you have until December 5th to enter each of them when they announce the winner of their respective contests. 1) This entire prize package will be awarded to one person. 2) However, this winner will be chosen based on how they plan to use this prize. To be more specific, I will be awarding this prize to a winner who will put the package to positive change or towards a charitable cause. For example, this person might work at an underprivileged school, the winner might know someone working at an underfunded health clinic, or maybe they’ve heard about a Boys and Girls club that might need a donation. Regardless, this person should plan to have these computers affect lives positively. 3) The winner has the option of sharing this prize, it is their choice. In other words, I can mail part or all of the package to the winner or could mail part or all of the package directly to a cause, charity, etc. 4) Each entrant MUST explain to me in 250 words or less why their cause should be chosen. This explanation must be mailed to morningsidemomgiveaway@gmail.com with the subject heading “My Entry to the HP/Microsoft Magic Giveaway”. 5) The entrant is encouraged to be creative with their submission. You could include a link to a blog post, a Youtube clip or FLIKR images. (Please do not send large files or jpegs attached to the email itself.) Through your submission, show me you are an honest individual who truly cares about the cause or person you support. The more you can show me that your cause is real (and not something made up so you can sell it all on e-bay which I strongly strongly discourage), the better your chances are to win. Please remember: this is about giving and supporting a worthwile cause. Please think hard about what kind of good you can do with this prize. 6) I will not hold it against the winner if they would like to keep a portion of the prize themselves. There is certainly enough to go around and it is up to the winner to decide how to spread the wealth. Just remember, charitable individuals will be rewarded in this contest. 7) Real addresses are required, no p.o. boxes. 8 ) International entrants are welcome. 9) While your address and full name will be protected and kept private, I will be posting about the winner and the cause they represent on the Morningside Mom blog. 10) Additionally, the winner will be asked to submit a follow up post about how the gift package was put to good use. Pictures and personal experiences will be highly encouraged. This follow up will be expected within 2-4 weeks after you received the package. 11) While unlikely, press or media could potentially by involved. If they are, obviously, the winner’s full name or address will not be made public or ever shared with anyone. 12) Winners will be chosen solely at my discretion. 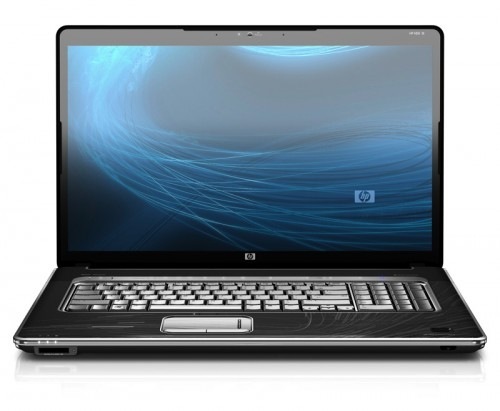 13) Entrants who have won this prize at one of the other 49 blogger’s websites involved in the HP give away will be disqualified. 14) A winner will be announced on December 5th. 15) If you consider yourself a friend of mine - I love ya but sorry, don’t bother entering. However, think about entering at one of the other 49 blogger’s sites! (See above.) But tell a friend about my contest (one I don’t know) to come on over and enter. 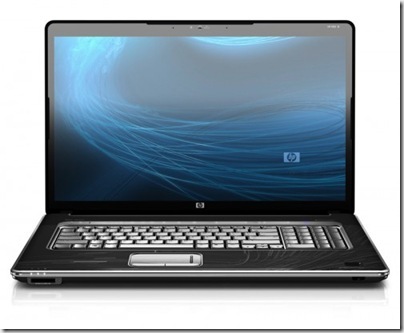 16) HP has encouraged me to look over the hardware and review it. Some boxes or bags may have been opened. Everything has of course been put back into its original packaging. Any questions? Please comment below and I will respond as quickly as I am able to. Check back here on December 5th to for the winning announcement. Good luck to all entrants! For more details on Caroline’s contest head here and good luck to all those entering! 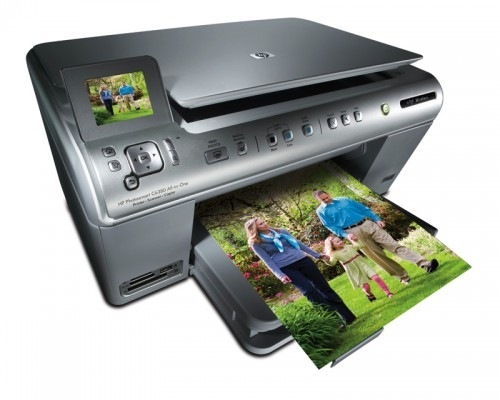 This week, I'll be running a promotion and giveaway for $6000 worth of HP computers and other software and hardware. I'll give away the entire package to one person who enters my contest. I love, love, love the idea of being a Magic Internet Fairy, pouring out an amazing abundance of computers, more than anyone could ever need! It's a gift that, by being too big, inspires generosity. I want YOU.... my creative, intelligent, beautiful reader... to have a shiny new computer or laptop of your own, for the holidays! Keep one of these sleek, fast, powerful beasts for yourself... and then share the magic. Give the rest away! I thought about "magic" and what my computer means to me. It lets me express all the million layers of my ideas and creativity, and helps me put that into the world directly. Because I do that, I can connect directly with other people and their ideas. The magic for me in this contest is in spreading that empowerment and connection. Who could I make the happiest? Who would put something unique and interesting into the world, given the right tools? I'm impressed if you are smart, engaged, un-boring, and being real! Make me laugh! Make me think! B) Tell me briefly, in 3 sentences or less, how you would "Share the Magic" - what would you do with the prize? Who will you give the extra computers to? Please use links if applicable. I won't include anyone as a finalist who I know in real life, and obviously, not my co-workers or family members. For me, the "Magic" in this contest will be the list of finalists; the people who I think are especially interesting and creative! Someone will get a bunch of computers -- and maybe I'll get a new blogroll! For more details Liz’s contest head here and good luck on those entering her contest as well! Boston Pocket PC will be announcing our contest shortly so be sure to check back soon and again good luck entering the contests for today at Morningside Mom and Thoughts on poetics & tech the ones from yesterday at Bleeping Computer, Gear Live, and Windows Connected. 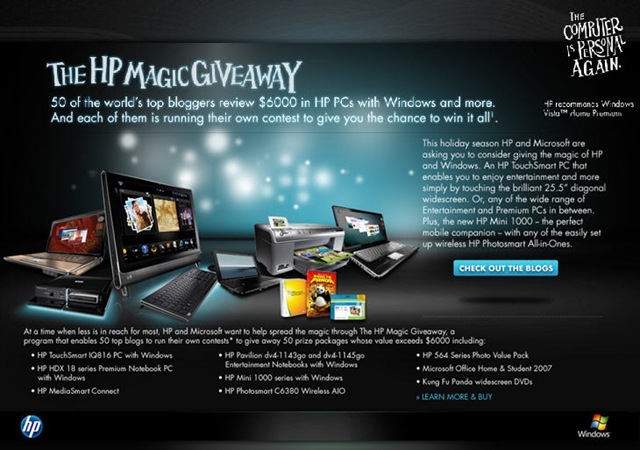 As of today, BleepingComputer.com and two other sites, kick off the HP Magic Giveaway promotion. 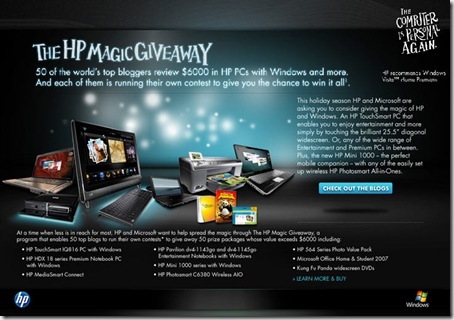 As of November 28th, 2008 at Midnight, Bleeping Computer is now accepting entries into the HP Magic Giveaway. From now until December 4th, we will be accepting entries into our contest. 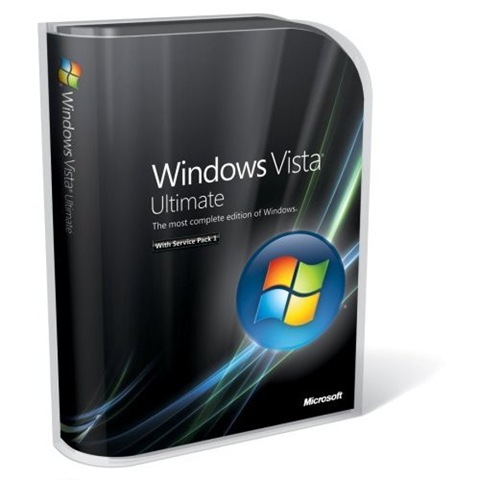 The winner of our contest will be selected randomly and announced on December 4th 2008. Our contest is easy to enter, but does have a slight twist. Due to the size of the package, the harsh economic times, and it being the holidays we want our winner to share the magic through the spirit of giving. What that entails is that our winner will be required to share some of their prize package with another person or organization. In a year when the holidays look more gloomy than magical, HP, Microsoft, and BuzzCorps have partnered with 50 sites to help spread the holiday cheer. Starting today, 50 sites will be giving away a prize of holiday goodies that are more than any one person could need. We are not talking about winning one computer, but 4 computers, and some great great software and accessories to use with them. Unfortunately, we cant give too much detail right now on the contests, but rest assured we will be providing that information soon. As there are 50 sites, there will also be 50 different contests, so be sure to get to know and learn the rules of each site when they announce their contests. To stay on top of all the information and updates it is suggested that you subscribe to this topic. 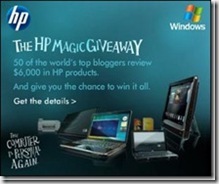 As of today, November 28th 2008, BleepingComputer.com's HP Magic Giveaway contest is officially underway. The purpose of this contest is to celebrate generosity and the spirit of giving. This incredible prize package was designed to be shared with other people or organizations who could benefit from a new computer. With such a harsh global economy, people losing their jobs, and having the holiday season upon us, we have decided that the winner must share a portion of their prize. Whether it be to an out of work friend who needs a new computer, a local charity, or a school, we felt that that with a prize package this large paying it forward would be the right thing to do. The rules are fairly simple, and we have gone into more details below. 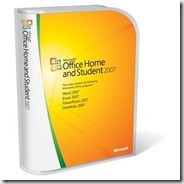 In summary, our winner will be chosen at random and announced on December 4th 2008. That winner must share the prize with at least one other recipient. They must then post to this thread the story of how they shared their prize. Hopefully this will continue to inspire the magic of sharing. Please note, depending on available time, we may use the equipment in order to review it. This equipment will be in pristine shape and at factory defaults before it is sent to any winner. Good luck and have fun with the contest! The sole winner of the Prize package will be awarded at random. The purpose of this contest is to spread a little magic into people's lives during the holidays. With that said, the prize package must be shared with at least one worthy recipient or cause. 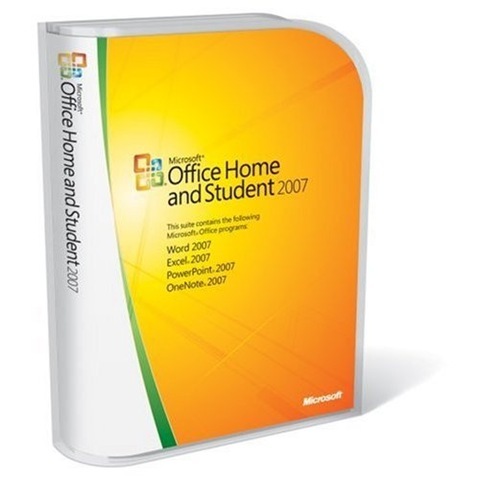 It is up to you how much of the package you wish to share, and we hope you share more than one item, but at least one computer must be given to another person or organization. After receiving the award, the winner must send the story describing how they shared the gift. Photos are not required, but will enhance your story, so feel free to send them. With the story, you give us your express permission to post the story and any accompanying material. If you would not like us to post your real names, please let us know, or do not include them in the story. The recipient of the prize, and the people you intend to share the magic with, must provide a complete name, shipping address, and phone number that can be used to ship the award. 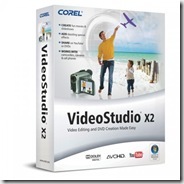 We will ship the prize package to yourself and to the other recipients. PO Boxes will not be permitted. Do not enter the contest with multiple accounts. Anyone who is caught doing so will have all of their entries removed. If you won a prize package from one of the other sites involved in this promotion, you will become ineligible. Depending on the value of the prize, you may be required to fill out a W-9 form. This form will be sent directly to the sponsor of the contest. You must be a member of the site in order to enter the contest. Membership is free and you can create your account here. Staff are ineligible for this contest. The winner will have 72 hours from notification to claim their prize. If the winner does not claim the prize, we will award it to a 2nd place finisher. 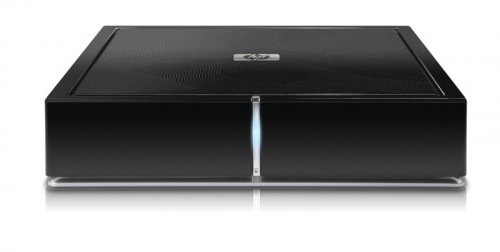 Today we are officially kicking off our HP Magic Giveaway. We are one of three sites selected to kick off this wonderful event. In the spirit of the event and the season we will be giving this exceptional prize package away to the individual that we think can do the most good with it. Entry will be open from today (Nov 28th) until Thursday Dec 4th at 6am. 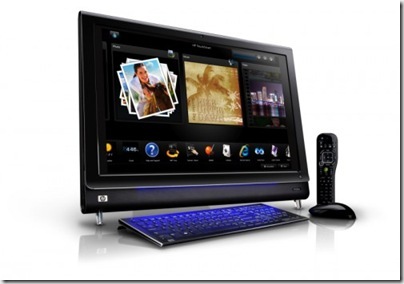 To enter you must submit a written entry of less than 150 words to hpmagic@windowsconnected.com with details on how you will put all this wonderful hardware to good use. We won’t be awarding this to anyone who we think we just turn around an sell it. We want it to go to a place where it can do the most good, so impacting a number of peoples lives with the hardware will get you the best chance to win. Winner will be selected by the bloggers from the site and an announcement will be made on Dec. 4th of the winner. Winner agrees to not sell the hardware, yes Zane we are looking at you..how's that tattoo? Winner agrees to send us a follow up to post on how the hardware has been used within 30 days of receiving it. Boston Pocket PC will be announcing our contest shortly so be sure to check back often and good luck entering the contests at Bleeping Computer, Gear Live, and Windows Connected. We are going to be having another great contest here at Boston Pocket PC just in time for the holidays with 49 other sites. 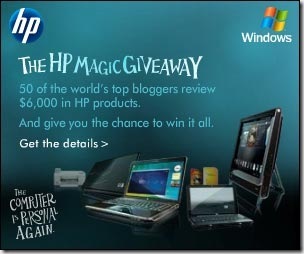 It will be called the HP Magic Giveaway contest. We had such a big success with the 31 Days of the Dragon Contest, the contest pool has expanded to 50 top blogs and websites to spread over $300,000 worth of prizes to some lucky people to give to others in the spirit of giving from the people at HP and Microsoft. We will be announcing the details of our contest soon, so come back often to see what we have planned as well as updates on how you can win this prize pack to keep and giveaway yourself from 49 other sites and celebrate the magic of giving. Microsoft has made all sorts of Zune related announcements this week. First came the price-drops on the Flash-memory-based Zunes (see the bottom of the post), as well as some minor upgrades to the Zune marketplace software and Zune firmware update to 3.1 so you can use the new services available, which includes new games and the ability to play SuDoKu and Checkers against other Zune owners via Wi-Fi and Texas Hold ‘em now has multi-player Zune to Zune playability. Another new game is Space Battle. The big news today, however, is that Microsoft is making its Zune Pass subscription that costs $14.99 a little more interesting and you don’t even need a Zune to use it! 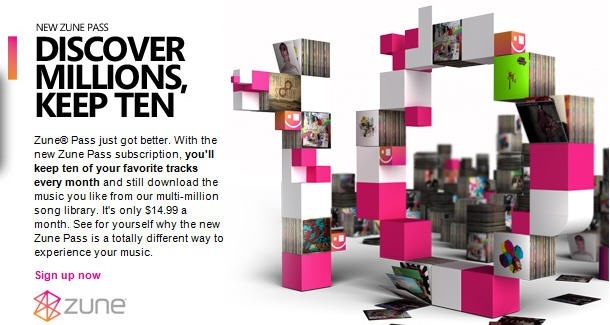 :) On a monthly basis, subscribers can now download 10 songs from the Zune Marketplace and keep them forever. "The week just keep getting better for Zune owners: today we're announcing some amazing enhancements for Zune Pass. Starting today at about 11:00PM pacific time, everyone with a Zune Pass gets to keep 10 tracks from Zune Marketplace each month. These 10 tracks will be yours to keep, forever. Each month that you keep your Zune Pass current, you'll get another 10 tracks credited to your account. All this for the same price as your Zune Pass today: 14.99/month, or about the price of one CD per month. So each month as you discover and download new music in Zune Marketplace, you'll be able to keep 10 of your favorite tracks. One quick note: there is no roll-over, so make sure you collect your 10 tracks each month." Even if your subscription runs out, the songs are yours. Almost 90 percent of the files will be DRM-free MP3s, and the others will be protected WMA tracks. That means that the majority of downloaded tracks can be transferred to different devices as many times as you want. The four major labels are on board, as well as several Indie labels. Your tracks won't roll over from month to month, you only get 10 a month and if you don’t use it – you loose it. 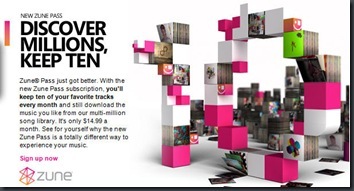 So you get 120 tracks per year that Zune subscribers weren't getting this time yesterday. The Flash-based Zunes also had a price drop this week as well. The 4GB model is now available for $99 (down from $130), the 8GB is $139 (down from $150), and the 16GB is $179 (down from $200). Also some Zune accessories were also reduced: the Zune Car Pack has dropped to $69 instead of $79, the Home AV Pack is now $59 instead of $79, and the Dock pack is now $39, down from $49. The new prices, software and firmware updates, and new subscription deals are all in full effect now. As is want to happen from time to time, business and travel commitments have left us in a situation where neither Steve Hughes or myself will be available for our monthly group meeting this coming Wednesday, November 20th. As such, we have no alternative but to cancel our upcoming meeting. After some discussion, Steve and I agreed that we will have a Holiday Gathering for our December meeting. This will occur on Wednesday, December 17th. Stay tuned for more details in the next couple of days! Hopefully this will solve all these problems. Time will tell.